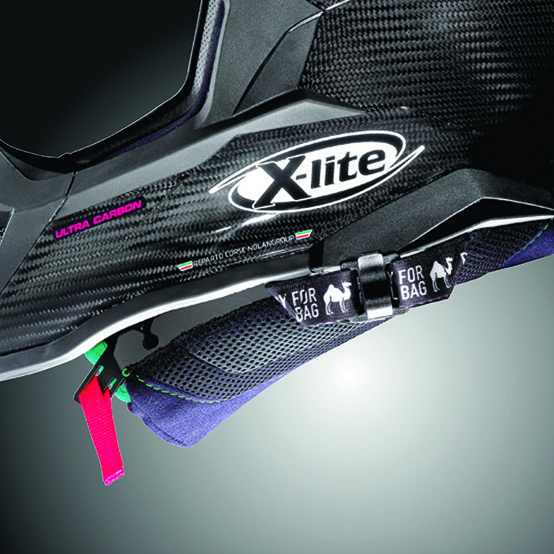 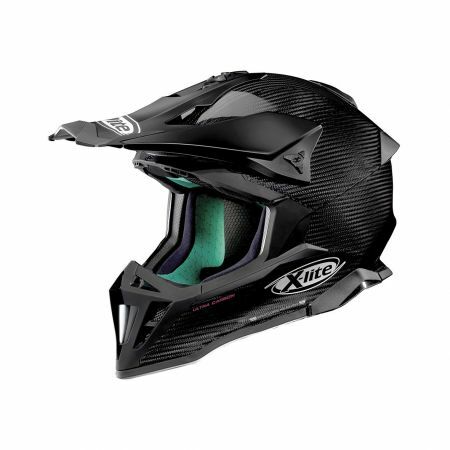 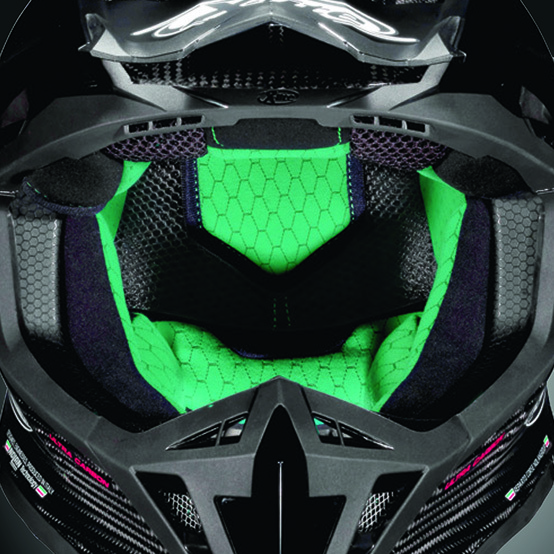 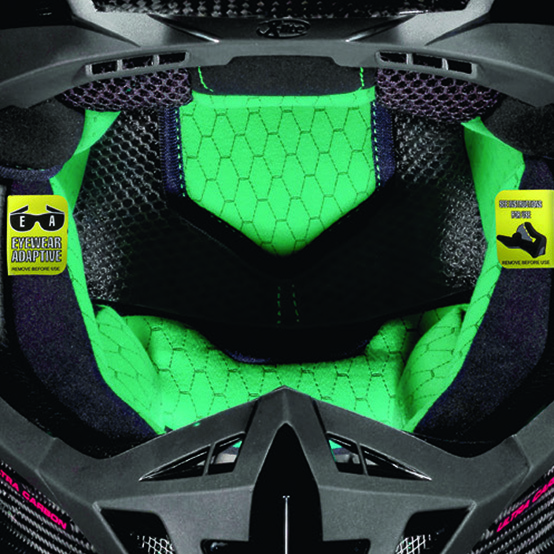 This is X-lite’s exclusive high-carbon content version of their off-road full-face racing helmet. 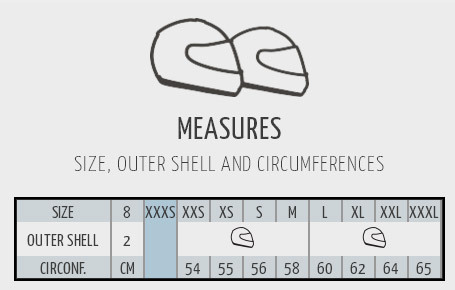 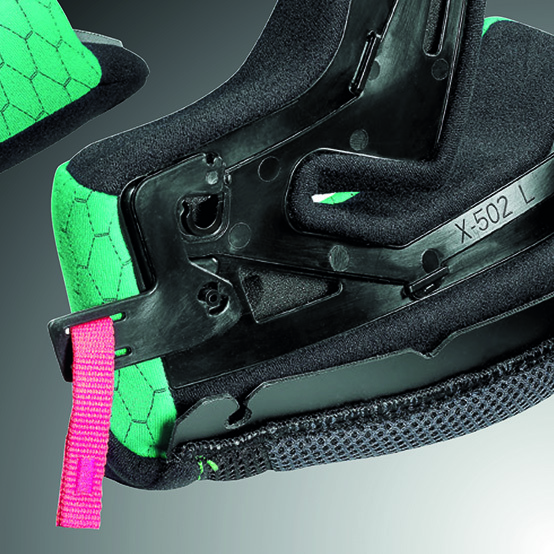 It is characterised by an aggressive design and a wealth of technical characteristics. 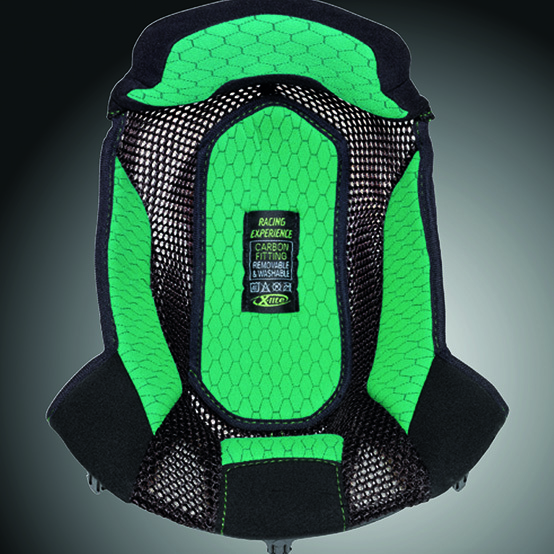 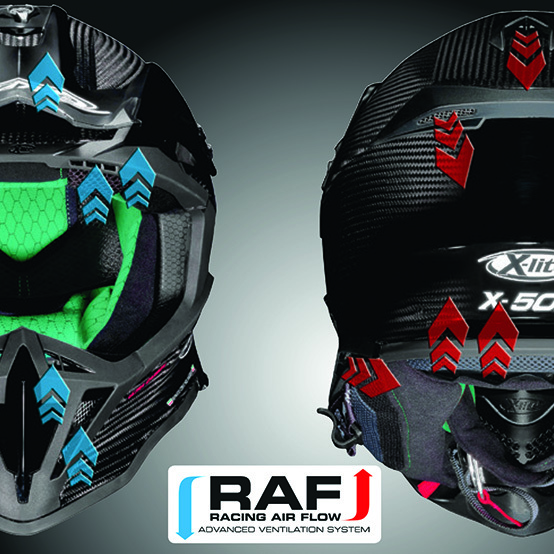 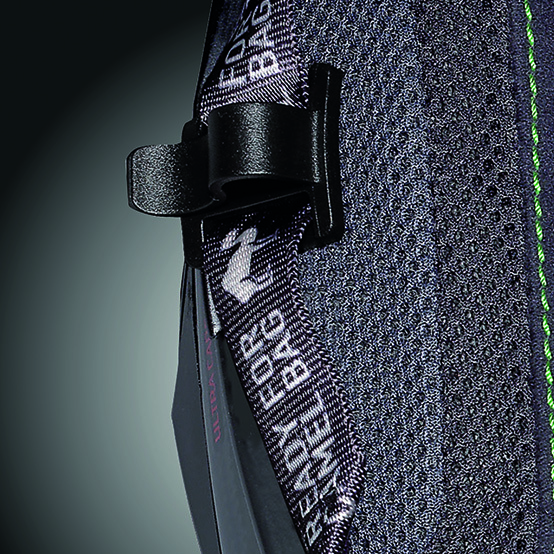 Its reduced weight and compact volume (thanks to the carbon-rich construction and the availability of two outer shell sizes), emergency cheek pad removal system (NERS - Nolan Emergency Release System), ultrawide visor, efficient RAF Racing Air Flow ventilation system, peak with adjustable extended additional peak, Carbon Fitting Racing Experience inner comfort padding (with an innovative net construction) and set up for the Camel Bag water system make the X-502 ULTRA CARBON the most exclusive product for the most demanding off-road enthusiasts.